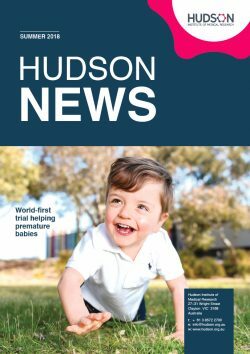 A study by Hudson Institute scientists has identified a new pathway of non-genetic inheritance that could one day link a father’s lifestyle choices, including diet, alcohol, drugs, smoking and medications, to the development of his children. While women who are trying to fall pregnant know to avoid smoking and drinking, there has generally been less focus on the health of men wanting to become fathers. 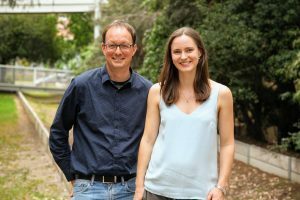 Now, research by Dr Patrick Western and first author Dr Jessica Stringer, published in the journal BMC Biology, has identified a new mechanism by which a father’s health prior to conception may affect his children. “When thinking of starting or adding to their family, both mum and dad should try to be as healthy as possible,” Dr Western said. Epigenetics refers to heritable marks in the DNA that determine whether a gene can be ‘switched’ on and off, changing how cells read genes, without causing changes in the underlying DNA sequence. The epigenome provides a layer of complexity on top of our DNA. It’s like a set of instructions or ‘road-map’ that defines cell types in the body. Epigenetic control of genes is part of what allows a tiny cluster of identical cells in the womb to grow into a fully formed baby. By regulating different sets of genes that can be switched on and off, some cells become heart cells while others become brain cells. Importantly, epigenetic pathways can be disrupted by exposure to lifestyle factors, like diet, drugs and chemicals, providing a means by which health state in a parent can affect his or her future children. In the study, Dr Western and Dr Stringer uncovered how an epigenetic modifying complex called PRC2 regulates non-genetic information transmitted from a father to his offspring. Previously, scientists have shown how parental diet and lifestyle could affect children, and even grandchildren. For example, if a parent has a poor diet, research suggests this can significantly increase the risk of obesity for future generations – including in children and grandchildren. However, in many cases the specific epigenetic factors at play have been unclear. 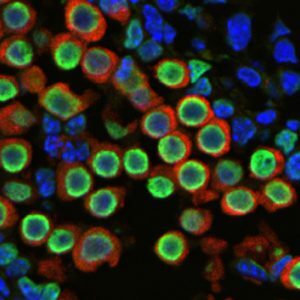 “For the first time, we demonstrated that altered function of PRC2 in mouse sperm, before eggs are fertilised, caused epigenetic effects on development and gene expression in the father’s offspring,” Dr Stringer explained. A cross-section of an early testes showing precursors of sperm cells (green and red), while the blue shows DNA in individual cells. The green shows the epigenetic modification forming in early sperm cells. 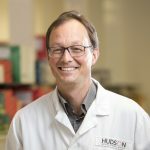 According to Dr Western, the research substantially extends the understanding of how fathers pass on epigenetic information that may affect the health of their children. “We have identified that PRC2 regulates inheritance pathways in male mice, and that altering the epigenetic ‘road-map’ established by PRC2 in sperm can affect offspring development, with potentially life-long consequences for health,” he said. “Now we’ve shown that PRC2-dependent epigenetic changes in sperm can be ‘inherited’ by offspring from their fathers, we can start to look at whether specific foods or chemicals might positively or negatively affect PRC2 function and therefore development in children. Team: Dr Patrick Western, Dr Jessica Stringer, Dr Lexie Prokopuk, Dr Samuel C. Forster (Hudson Institute, Monash University), Dr Zhipeng Qu and Professor David Adelson (Adelaide University), Professor Moira K. O’Bryan (Monash University), Professor David K. Gardner (University of Melbourne), Dr Stefan J. White University of Leiden (Netherlands). This research was supported by the National Health and Medical Research Council (NHMRC). This news article was posted on 7 December, 2018 . It was last updated on 12 December, 2018 .